Helsinki-based Pure Waste Textiles was born out of a desire to halt the huge amount of fabric wasted in the production of fashion accessories. After beginning to use leftover material from manufacturers, the designers became more intent on actively avoiding waste. 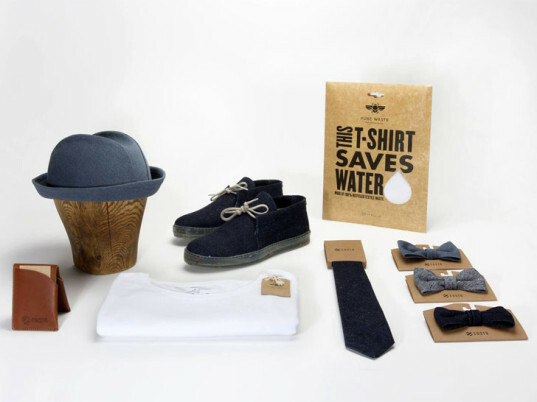 “Wasting so much valuable material is not just intolerable from ecological point of view,” says Kalle Määttä of the brand, but also from an economical point of view. In an interesting interview with Ecouterre, Määttä discussed the future of Pure Waste Textiles and how this proactive attitude to production is the only option. How did Pure Waste Textiles start out? 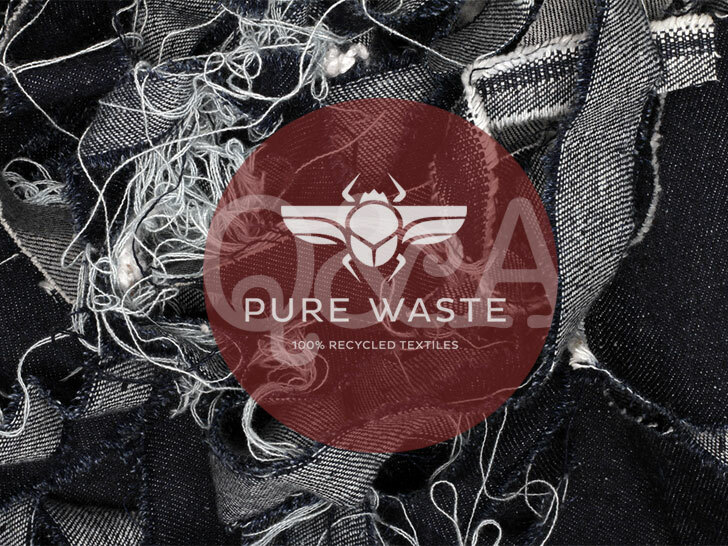 Pure Waste Textiles was born as a spin-off company from our other ecological design accessory brand Costo. With Costo, we have been using left-over materials in our accessories lineup since 2006 when the company was founded. After some early success we got in touch with fabric manufacturers, like Kvadrat and started to buy their leftover fabric storages 10 to 100 meters at a time. In time, as Costo’s hats became more popular, we needed a way to get larger quantities of similar fabrics. Luckily we had a friend, and now also a partner in Pure Waste, who has been doing sourcing work in China for over 15 years and just couple of years ago he had stumbled into local textile recycling factory. And after about a half of a year of convincing they were willing to try out to make a 100 percent recycled denim fabric from denim clips. The result of this trial was so good that it was time to spin the idea in to a new company. So was Pure Waste Textiles born. Since October 2013, we have produced 10,000 meters of denim and over 13,000 T-shirts. All from 100 percent recycled pre-consumer textile waste. What is your primary motivation behind the brand? “Where others see waste, we see treasures.” This is our motto and number one rule that we follow in everyday operation. Waste is the end product that all our planets natural resources are turned into. And so it has become the only natural resource that is still accumulating. Our motivation is to change the perspective how people in general see waste. We do this by producing affordable and ecological basic clothing and fabrics from 100 percent recycled textile waste. How is Pure Waste Textiles helping create a more sustainable fashion industry? Pure Waste Textiles is less than a year old. The biggest impact that we have made in this time is to prove that it is possible to produce good quality 100 percent recycled yarns, fabrics, and garments. Our products have been tested by third-party quality test services, as well by thousands of consumers wearing our T-shirts. The reason why we believe we can impact the whole industry are the huge quantities of textile waste generated in the manufacturing process. On average, 10 to 15 percent of the material entering the manufacturing line goes to waste in the process. Every year, there are over 2 billion pairs of jeans produced globally. This requires over 3 billion meters of denim fabric. Of this amount, 10 to 15 percent goes to waste in the process, meaning that over 400 million meters of fabric goes to waste. This is enough fabric to roll it 11 times around the globe. And this is just with denim. Tell us more about your recycling process. Currently our focus is in recycling pre-consumer textile waste back into yarns that can be used in weaving and knitting; we are recycling denim clips, jersey clips and thread waste. The recycling process is completely mechanical. Most important aspect in the whole process is to keep the fiber length as long as possible. For this purpose, it is important to understand how different waste qualities are opened and what is the right mix of different type of recycled fibers to spin into good quality yarns. After this, fibers are then spun into yarns and then weaved or knitted into fabrics. The other key element in the process is to sort the waste according to color. This way we can produce fabrics even without additional dyeing. For example the color in all our jersey fabrics that we use in our T-shirts and other knits comes from the waste. Where does the inspiration for your products come from? At the moment the inspiration is easy to find. There is an endless supply of textile waste with different compositions available. Every time we develop a new yarn, we learn something new and come up with a million ideas what to do next. 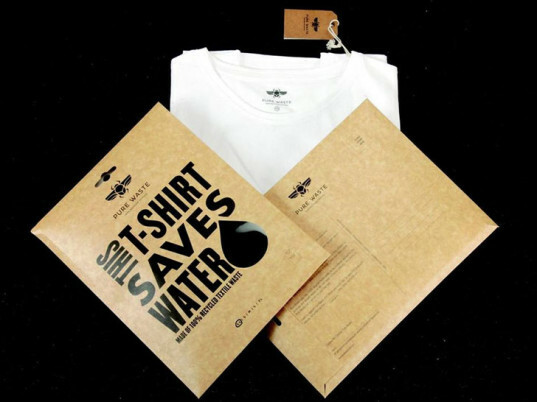 Additional motivation and inspiration comes from the consumers who learn how much water they can save just by making a simple choice—2,700 liters with one T-shirt—that doesn’t even cost more. And from designers who get their hands on our 100 percent recycled fabric. Helsinki-based Pure Waste Textiles was born out of a desire to halt the huge amount of fabric wasted in the production of fashion accessories. After beginning to use leftover material from manufacturers, the designers became more intent on actively avoiding waste. �Wasting so much valuable material is not just intolerable from ecological point of view,� says Kalle M��tt� of the brand, but also from an economical point of view. 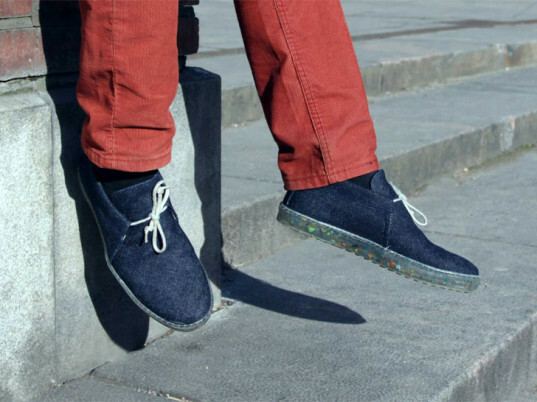 In an interesting interview with Ecouterre, M��tt� discussed the future of Pure Waste Textiles and how this proactive attitude to production is the only option.